Prominent Maori businessman Kingi Smiler, responsible for some breakthrough developments in Maori agri-business, has been named Agribusiness Person of the Year by Federated Farmers. He joins an elite list that includes Dr John Penno (Synlait), Sir Graeme Harrison (ANZCO), Andrew Ferrier (Fonterra) and Craig Hickson (Progressive Meats). Kingi’s greatest accomplishment to date, beyond completing 20 Ironman events and achieving an international age-group ranking, was to pull together the support base and drive the establishment of Miraka Limited, the largest collaborative new venture undertaken in the Maori agrarian sector, indeed the entire Maori economy over the past five years. 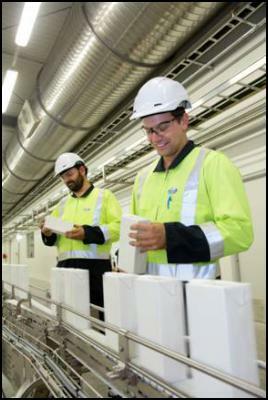 Miraka’s state-of-the-art milk powder production facility, which draws on geothermal energy, is based at Mokai northwest of Taupo. It cost $90 million to build and opened in 2011, achieving profitability in year one. Kingi is chair of the Board of Miraka, and is also chair of Wairarapa Moana Incorporation, who with Tuaropaki Trust are the cornerstone shareholders of Miraka. WMI manages 12 dairy units and operates 10,000 cows which produce 4 million kgs of milk solids a year and is the biggest single supplier to Miraka (the Maori word for milk). Miraka has been the culmination of more than 10 years effort on Kingi’s behalf to lift the performance of the Maori agri-business sector. He has taken a key leadership role in this, fronting a series of initiatives like the Tairawhiti Land Development Trust which combined with the Ahuwhenua Trophy Maori Excellence in Farming Competition have seen the sector make some significant economic gains. The Ahuwhenua Trophy Competition is now considered the premier calendar event in the sector. A former partner in Ernst & Young specialising in business and corporate restructuring, Kingi is a professional director. He is also on the board of Mangatu Blocks, one of the largest Maori meat producers and owner of Integrated Foods which processes and exports internationally. A supporter and member of the Federation of Maori Authorities since 1987 Kingi was also instrumental in achieving the change in ending the leases in perpetuity over major Maori land blocks which was a historical milestone. Federation CEO TeHoripo Karaitiana, who sits with Kingi on the WMI board, said the award was due recognition for a man whose vision, energy and leadership has had a transformational effect in Maori agribusiness and beyond. Kingi, whose whakapapa connections are to Ngati Kahungunu, Te Aitanga a Mahaki, Te Atiawa, Whakatohea and Tuhoe completed his first Taupo Ironman in 1997 and is now in the elite club of those that have completed 10 or more in Taupo. He also competes internationally and has achieved a very respectable ranking at masters’ level. He applies the same approach when considering business propositions and before embarking on new ventures, which have marked his greatest accomplishments to date. Federated farmers Chief Executive officer Conor English presented the trophy to Mr Smiler at the FOMA annual conference being held in Hastings. Mr English said, “Maori are huge contributors to agriculture, exports and our rural communities. This award recognises the drive, entrepreneurship and success that is being demonstrated right across Maori agriculture every day. Kingi Smiler is a true leader and a well deserving recipient of this prestigious award,” Mr English concluded.